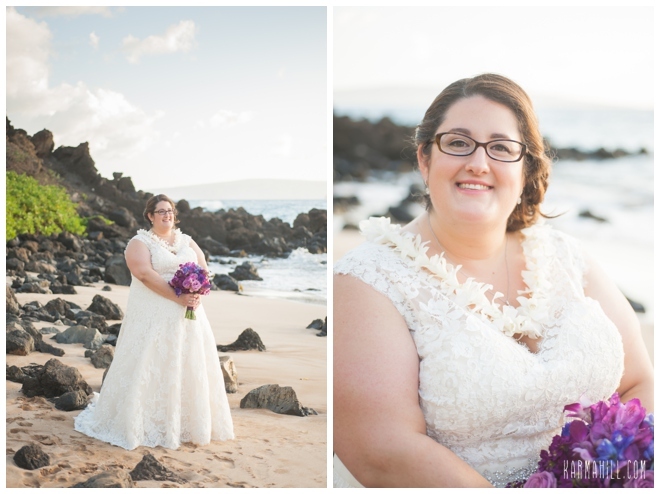 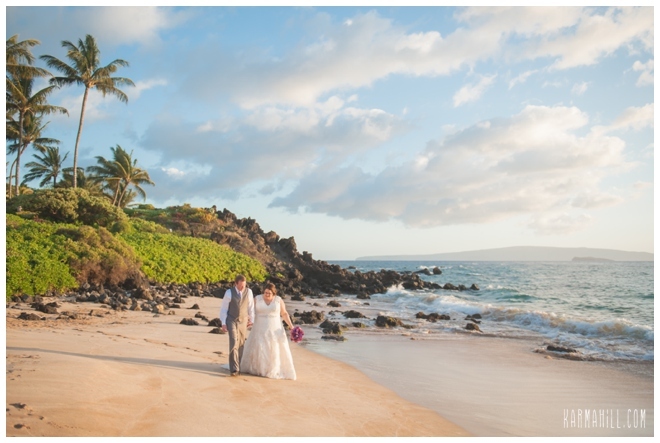 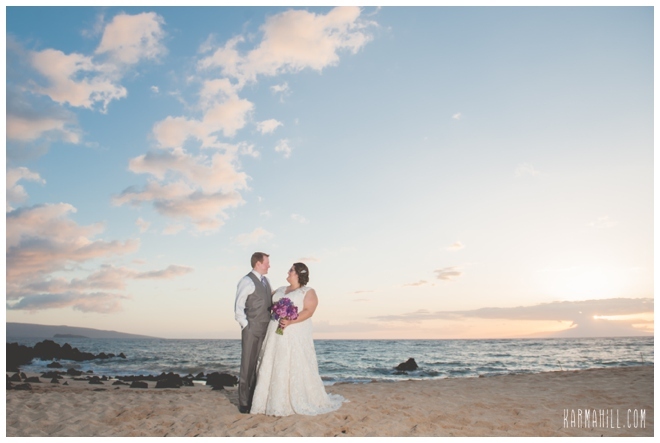 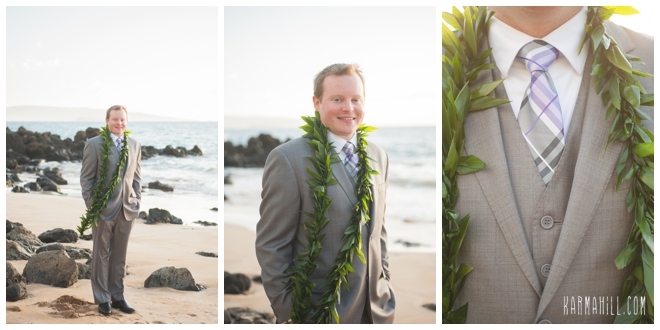 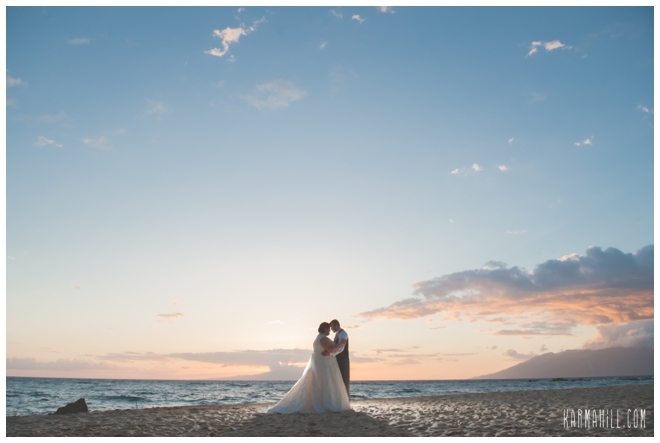 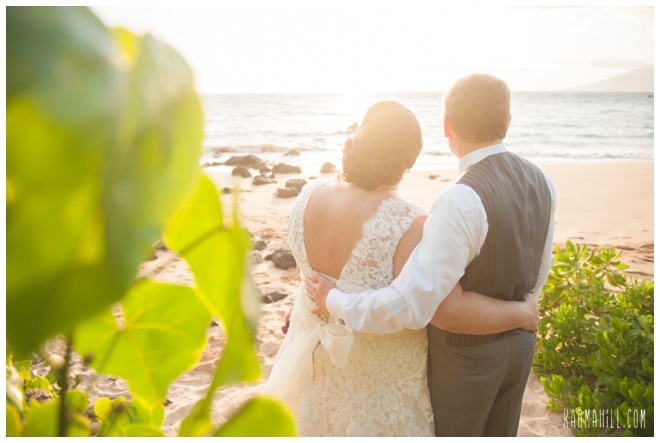 Amanda & Dan came all the way from Illinois for their beautiful Maui wedding! 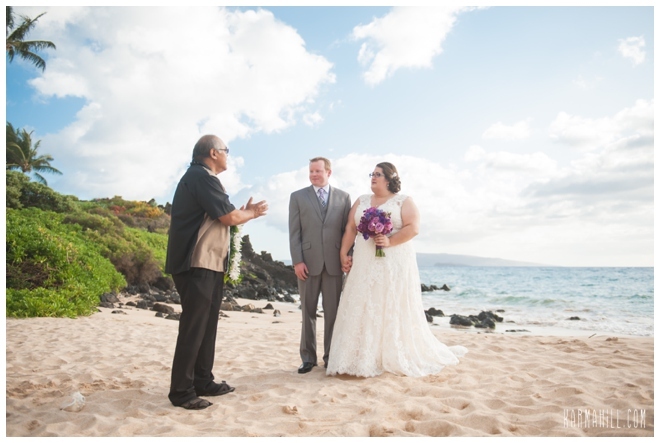 They were married on Southside Beach by Reverend Paul Tangonan last week and we were happy to be a part of it as well! 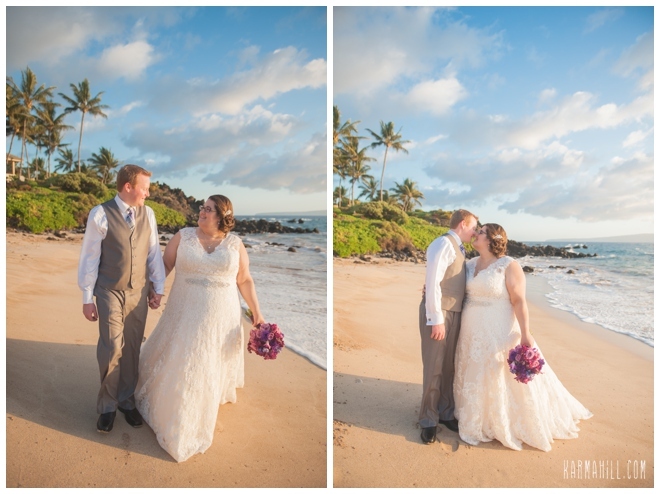 They were such an easy going couple just happy to be holding each others hands proclaiming their love for each other on the beach in Maui. 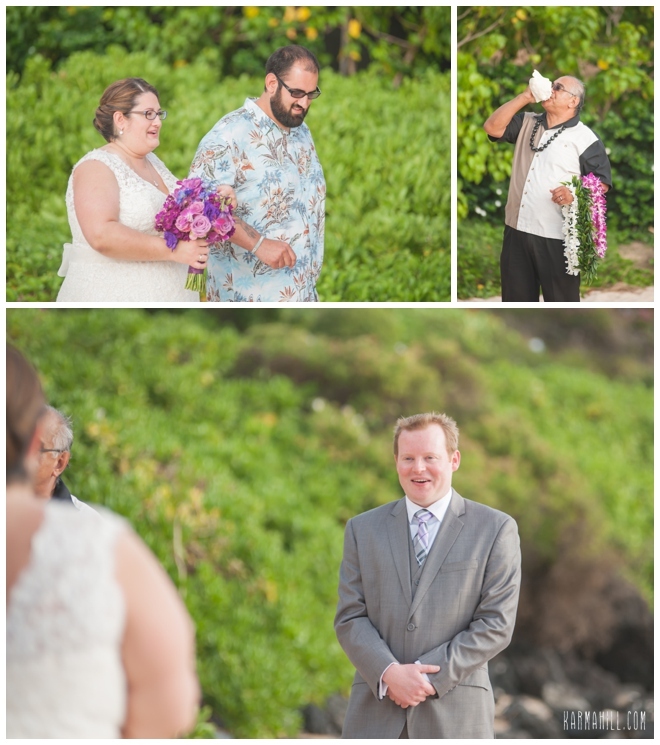 Dan's sweet little brother was the ring bearer and he could not have been more proud! 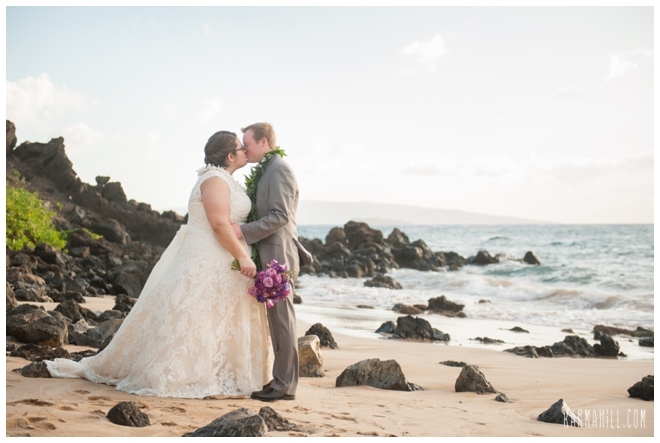 After their touching ceremony where they were joined by just their closest family and friends, the newlyweds were whisked away for their romantic couples portraits. 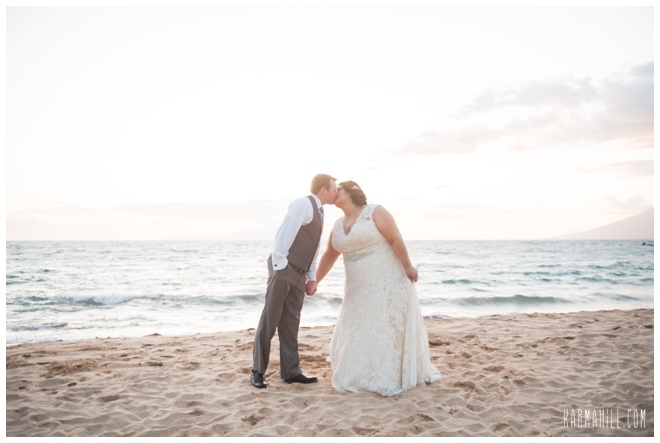 Staff photographer Naomi incorporated their props into their pictures as well as captured some beautiful sunset shots for them. 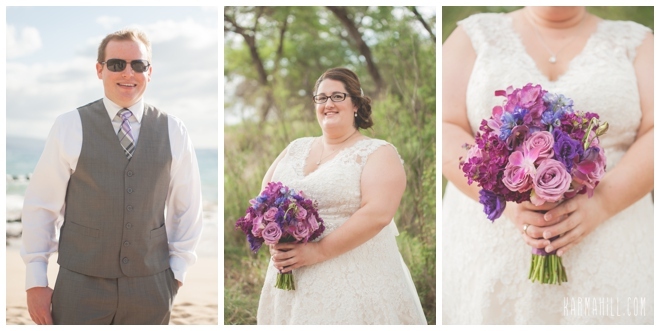 Amanda's custom purple bouquet made by Dellables added such a nice touch to the images. 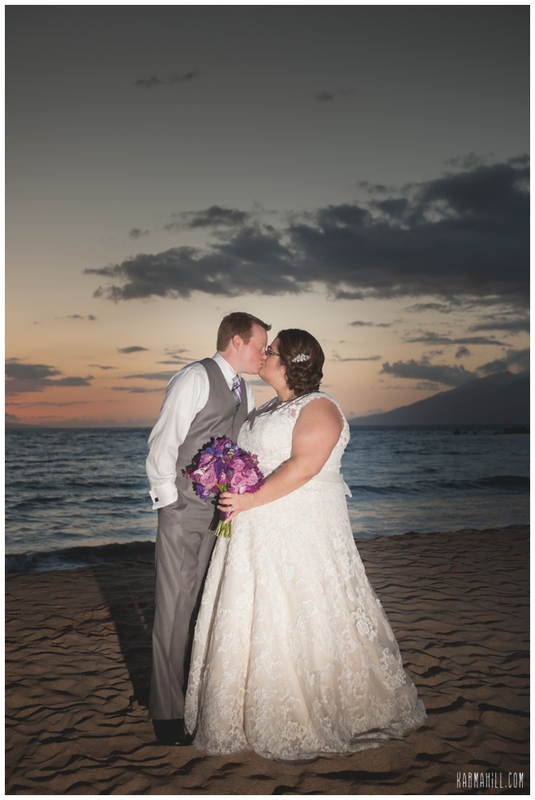 We hope you had a wonderful day Amanda & Dan and we are so thankful you chose us to be a part of your Maui wedding day! 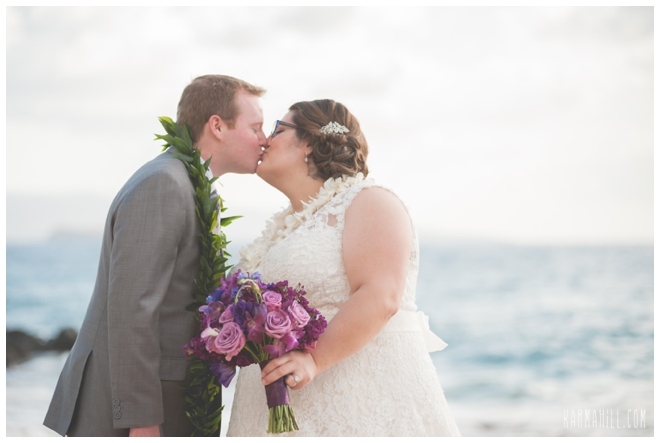 Best of luck to you two! 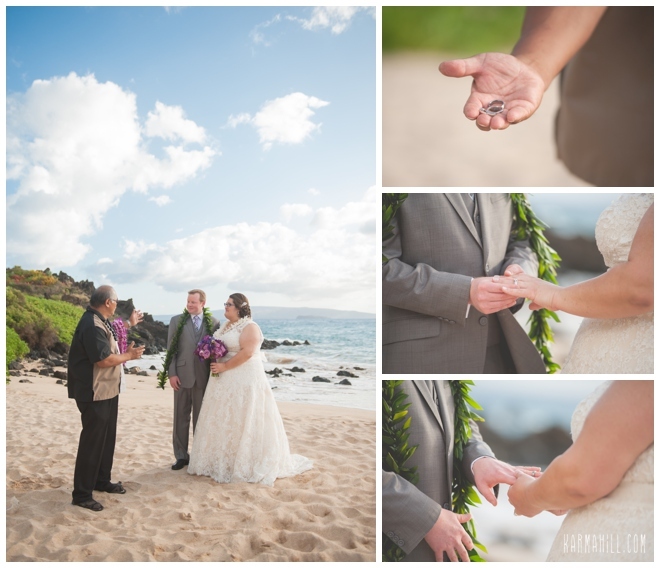 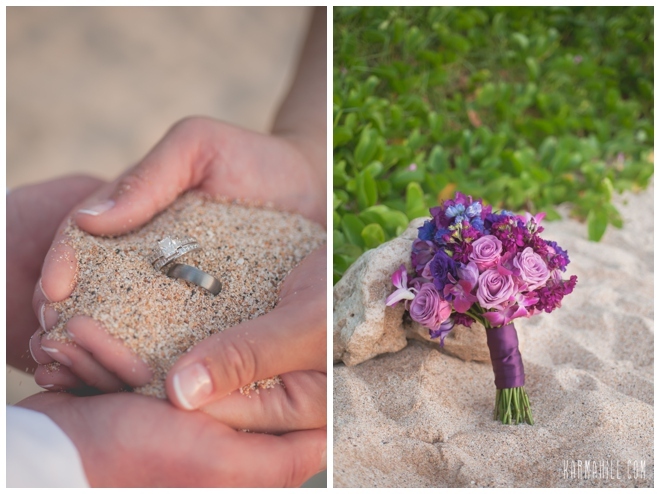 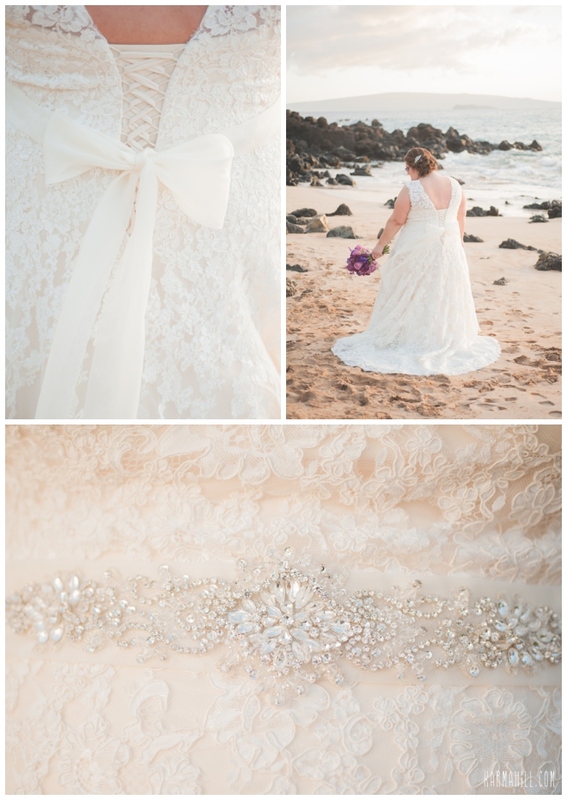 Check out our last Maui wedding with Sally & Jed!